These deliciously sweet popcorn bars are perfect for picnics and other gatherings, from birthdays to potlucks! Rather than oats or crispies, the base of this treat is purely popcorn – a surprise that most will love. Or at least the popcorn fanatics like me will be all over them! For this popcorn bars recipe, I’ve offered non-refined sweetener options. They will change the flavor slightly, but still be sweet and delicious. We often use coconut sugar in place of both white and brown, just ensure that it completely dissolves when boiling the mixture. 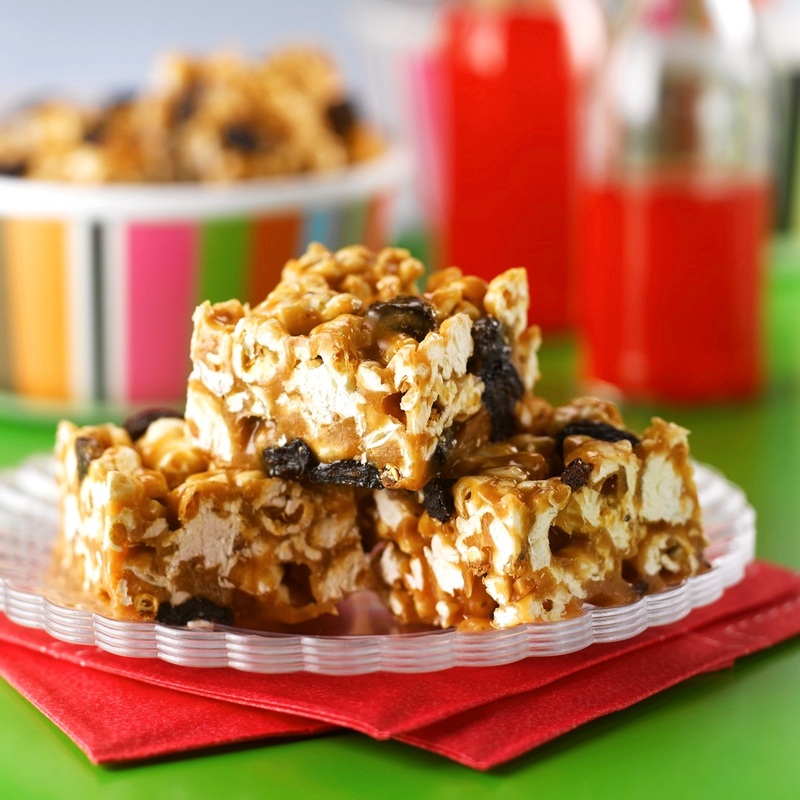 The recipe and photo for these peanut butter popcorn bars was shared with us by the Popcorn Board. 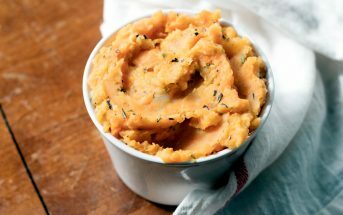 By ingredients, this recipe is dairy-free / non-dairy, egg-free, gluten-free, optionally nut-free, optionally peanut-free, soy-free, vegan / plant-based, and vegetarian. 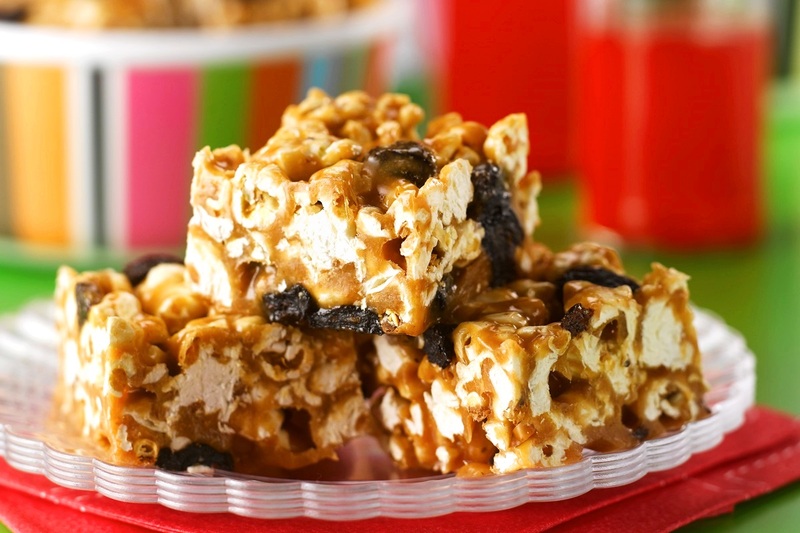 This is a very sweet picnic-friendly dessert and a fun variation on ordinary crispy treats! For more recipes like this one, check out the Popcorn Board. Whisk the sweeteners and peanut butter together in a large saucepan. Bring the ingredients to a boil over medium-low heat, stirring constantly; boil 2 to 3 minutes. Combine the popcorn and raisins in a large bowl. Pour the hot peanut butter mixture over the popcorn and carefully stir with a wooden spoons to mix until well-coated. Grease a 9 x 13-inch baking dish, and gently press the popcorn mixture into the pan. Can you freeze these for a later date? I’m lactose and gluten sensitive and I’ve been struggling to find snacks that I can have. I’m really not sure how well these will freeze Kirsty. But if you do opt to freeze them, I would bring to room temperature before trying to eat – they will likely become quite hard when frozen. I made these using chocolate chips instead of raisins. Beware! 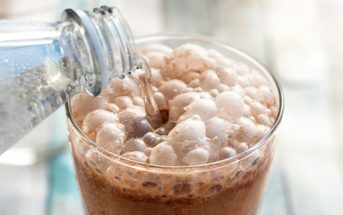 Chocolate Chips melt immediately when the hot sweetners are added in. I think I would have been better off waiting for the mixture to be in the pan, and sprinkling them on top. Oh well, next time. They smell delicious! Oops, yes, chocolate does melt easily! Glad it turned out regardless! I once had a delicious popcorn cake, pre-food allergies. I have always wanted to make something similar as I buy organic popcorn in bulk really cheap. And I always need a treat for the kids. I don’t think I can resist doing this with chocolate chips instead of raisins! 😉 Will post and link if these turn out for us! 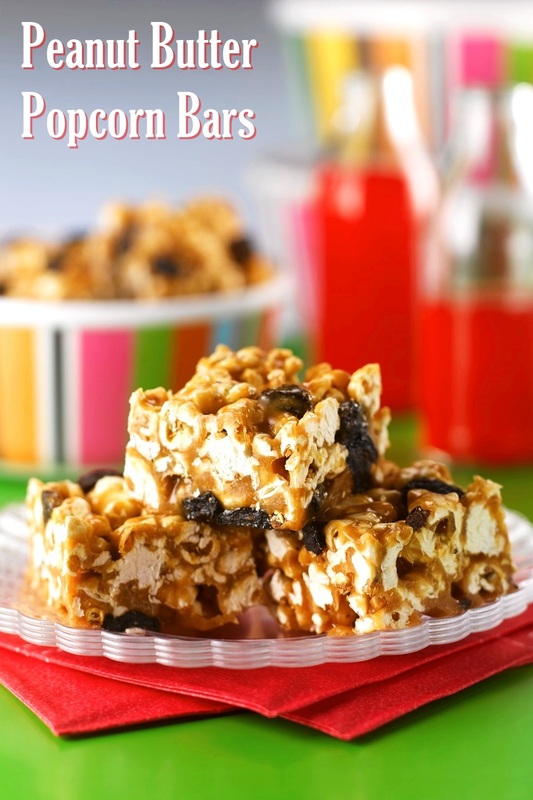 Brought these popcorn bars to a party last night…great success! 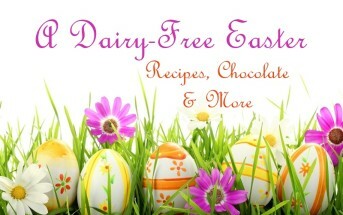 My husband is celiac and I’m lactose intolerant…thank you for a combined treat for us! So glad you enjoyed Lee! We have a similar situation – I’m allergic to milk and my husband is gluten intolerant, so I love creating things we can both devour. These were great! I used peanuts in place of the raisins, because I didn’t have any. Hopefully I won’t eat the whole pan so the kids can try some later! Yum – love the double dose of peanut! Glad you enjoyed Katy.